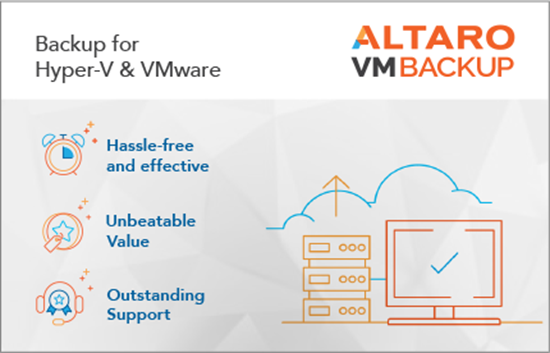 Altaro provides a fast, high-performance backup solution that backs up and restores Hyper-V & VMware VMs. The solution is easy to implement – you can install and run your first VM backup in less than 15 minutes; feature-rich, affordable and backed by outstanding support. Altaro’s MSP program enables you to roll out the latest, premium edition features of Altaro VM Backup across all your customers through a highly attractive monthly subscription with no upfront fees – and you can centrally monitor and manage all your customer installations through a single ground-breaking Cloud Management Console (CMC), making your life easier and hassle-free. 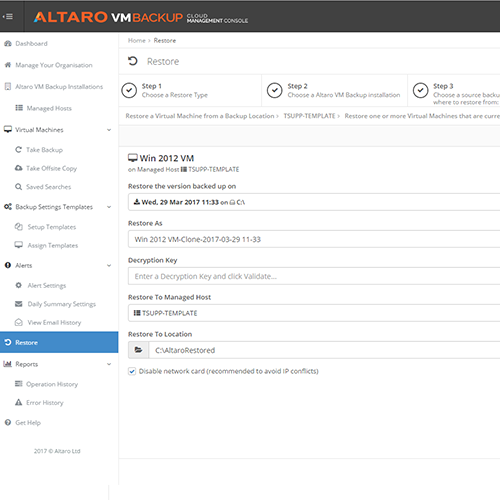 To help you provide the managed services your customers need, Altaro VM Backup provides Continuous Data Protection (CDP), Cloud Backup to Azure, Augmented Inline Deduplication, offsite backups, fast compression rates and more. For more information and to download the plugin, click here. 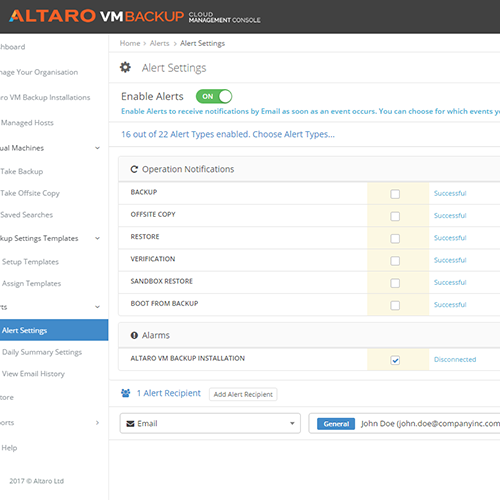 Configure Altaro VM Backup Alerts to be received as Connectwise Automate Alerts & Tickets. 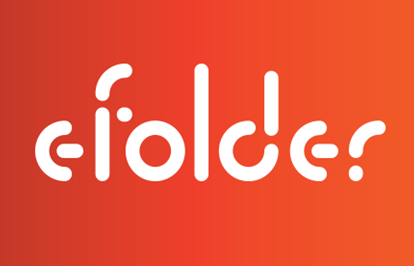 Receive alerts for failed Backup and Restore operations. Receive alerts for any skipped Backup or Verification schedules. Receive alerts when free space is running low on a Backup Location. Get alerted if an Altaro VM Backup installation or Hypervisor is disconnected from the Altaro CMC. There is no need to install additional software at End User premises, simply connect the Altaro Connectwise Plugin to your Altaro CMC Account. Altaro's ConnectWise Automate Plugin is certified via the ConnectWise Invent Program. If you need assistance with plugin implementation, please reach out to Altaro. 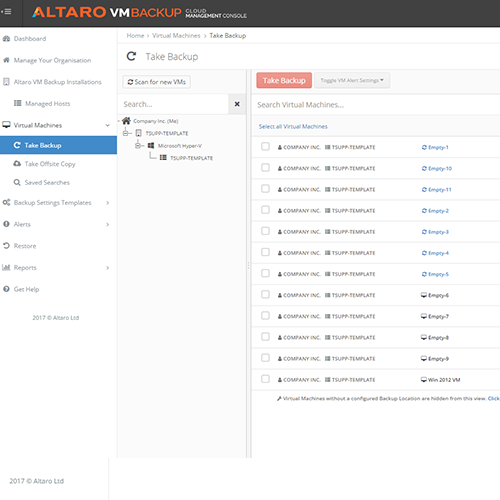 Learn about the 10 Essential Best Practices for Virtual Server Backups with Altaro. Comprehensive data protection can be elusive, server virtualization makes that process easier.